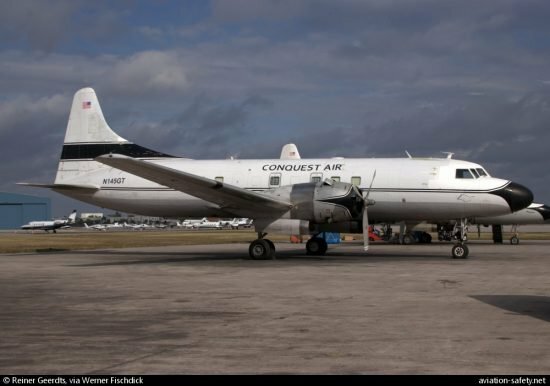 The NTSB issued a preliminary report on the February 8, 2019, ditching of a Convair C-131B cargo plane off Miami, Florida, stating both engines lost power. The report says the left engine propeller control could not be adjusted during the first leg from Opa-locka to Nassau, Bahamas. The power was stuck at 2400 prm. During preparations for the return leg to Opa-locka, the left propeller control had re-set itself. After reaching cruising altitude the left prop control again failed at 2400 rpm. During the descent the right engine suddenly backfired and began to surge. The flight crew feathered the propeller and shut down the engine. Shortly afterward the left engine also backfired and began to surge. Altitude could not be maintained and a ditching was carried out. The captain was fatally injured, and the first officer was seriously injured.